You are here: Home / Marketing Talk / What is influence? As you may have heard, Fast Company has begun a little experiment on Twitter called The Influence Project. The concept is pretty simple on paper. You sign up on the Fast Company site and you see how many people you can motivate to click a link that you post. The more clicks you receive, the more influential you appear. 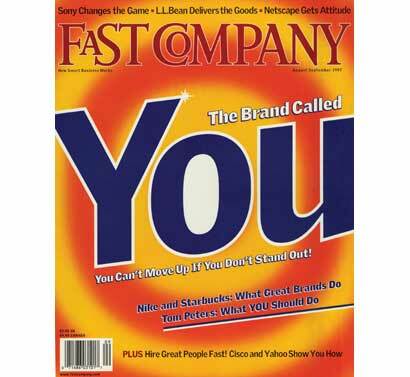 The folks at Fast Company have promised that the most influential people will have their pictures shown on the cover of the November 2010 issue (Go ahead and check out Fast Company’s definition if you’re interested). Not surprisingly, the reactions to this project have been all over the board. Experts like Alltop’s Guy Kawasaki and Facebook Queen Mari Smith are for it. Lots of other folks are furious at Fast Company for creating a project that seems to give spam the green light. I don’t know where you stand, but me? I can see both sides of the argument. The question at hand: what is influence? Whether or not it’s the intended objective, all of the noise about this project has made me ponder what influence truly is. It also makes me wonder if influence can be made tangible by people clicking on some links. My gut instinct is to say that if influence is something that can be measured in clicks to a website from Twitter, there are going to be a lot of disappointed and confused people out there. I guess that’s a serviceable definition. You can’t really argue with it. And by this definition, The Influence Project is not a misnomer. You’re compelling people to click on a link, and the number of people who do that are metrics for your influence. Fine. But doesn’t that sound kind of hollow? Even in the world of Web 2.0, which is kind of seeming like the flower child when compared to advertising, making people just click a button does not an influential person make. And by the way, you could post till the cows come home that people should click a link, but if you post a tweet and you have no followers, is there really a chance to be influential? There are some who say that The Influence Project is in part meant to be a sort of satire or parody of what the online world is like. It’s meant to show how easy it is to get people to click things, how easy it is to game the system. The problem is that it’s also kind of presented as a science project or a rational scientific experiment. In the case of the latter, there are a few flaws that I’d like to point out. 1. As already mentioned, you already have to have some influence in order to show how influential you are. If you have 500,000 followers and you post a link, statistically speaking you’re going to have a better chance at being “influential” than a person who has 30 followers. 2. If you are already influential (if you measure influence in number of followers, which is a really bad idea), you have probably built up a lot of credibility (or you’re really durned famous). In either case, you can afford to be 100% straightforward. “Hey guys, please click this link and vote for me to be influential. I’ve got a book coming out in October and the extra PR exposure would be GREAT! Love and kisses!” On the other hand, if you’ve got a kind of shaky base or not a lot of followers, this would be hinging on a breach of trust. That’s a big no no. 3. In the Social Media world, it’s easy enough to get people to click things. Heck, a person with minimal HTML knowledge can mask a link to the influence page under an H-Ref tag and no one would be the wiser. Real influence is what you do with those clicks. In the marketing world, influence would be how many people ask for a quote after clicking. In the Social Media world, maybe you see how many people donate to a charitable cause after clicking, or how many people download your e-book. Getting folks to click a link, openly or not, is not really the strongest measure of influence. hypothetical 🙂 But this is a problem. Is the Influence Project truly measuring everyone’s influence? It’s an easy way to cheat, right? 5. And speaking of cheating, it’s really easy to load the game to win. Now Brogan and Smith might say that like any game, the rules are made to be adapted, but I worry that this is kind of setting a dangerous precedent. “Oh, I see, so getting people to click to MY website would REALLY show how influential I am. So how about if I mask my links with misleading information. “Here’s a breaking news story.” “Here’s a quote from LeBron James saying that he has changed his mind.” Click click click. Away goes your credibility. Is it worth it? In the end, Fast Company is the ultimate winner in the Influence Project, not the people whose pictures get into the November issue, not even Guy Kawasaki. The publication is being discussed all over the place, as is the project. I’ve driven traffic to their website, and everyone who is participating is doing the same thing. There is build-up for a November issue, which as we media types know can be a tough month for magazines. In the end, those winners will just have proven that they got lots of people to click. I tend to unfollow those types of people pretty quickly myself. What do you think of The Influence Project? Do you have pros for my cons? Are you participating? Let me know! Margie, thanks for answering my LinkedIn question and mentioning your blog post!I believe everyone could be a winner in this contest if they spend more time on analyzing their influence more than collecting clicks.